Has Ayaz Sadiq served PTI’s cause? 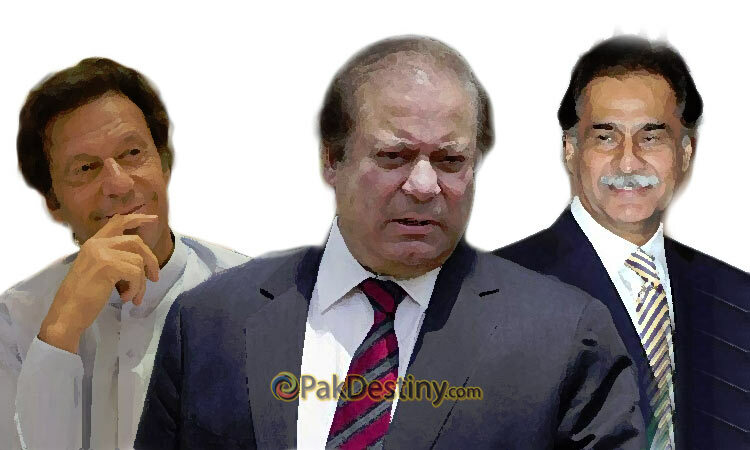 (Pakdestiny.com) National Assembly Speaker Ayaz Sadiq has ‘technically made a wrong move’ by sending Imran Khan and Jehangir Tareen references to Election Commission of Pakistan but dismissed the same against Prime Minister Nawaz Sharif. By doing so the speaker has provided more opportunity to do politics on the issue which otherwise had no value. It was a ‘bad suggestion’ given to the speaker. What it will achieve out of it — getting Kkan and Tareen disqualified – that will not serve well the cause of the PML-N government. The ultimate beneficiary will be PTI which not only cash in this move by making it a feature of its Panama protest which is aimed at sending either Nawaz or his government home. Speaking about the speaker’s stance, he said he felt that all the references filed against the prime minister did not hold water, while the ones targeting the PTI leaders apparently did. It is, of course, not unknown for lawmakers in Pakistan to raise frivolous issues or contravene parliamentary procedure. This is where the role of the National Assembly speaker comes in — to ensure the smooth running of the house and that only genuine parliamentary business is taken up. Appearing to give the ruling party — to which Mr Sadiq belongs — a clean slate where the disqualification references are concerned does not reflect well. Mr Sadiq should have sent all the references to the ECP without commentary, to allow it to decide on their merit. And not giving the opposition a patient hearing only inflamed matters. Unfortunately, this is not the first time the speaker has been accused of partisanship. The ugly episode involving Defence Minister Khawaja Asif’s use of unparliamentary language against PTI’s Shireen Mazari comes to mind. Even some government allies have commented on the lack of discipline in the lower house. While he was indeed elected on a PML-N ticket, the nature of his job requires Mr Sadiq to shun all political bias and run the house with equanimity and fairness whenever he dons the speaker’s robes. Evidence of bias in rulings and pronouncements by the speaker sets a bad precedent and is unhealthy for parliamentary politics. BENEFITS OF DEMOCRACY : Judge please order re election . Aleem Khan and Ayaz Sadiq both are very rich. Aleem Khan earned money by land scams and Ayaz Sadiq was Raiway contractor. During election campaign both tries to prove their solidarity with public and spend alot of money on welfare projects. That is how public is benefitting from democracy and politicians. His only a speaker and not a loud soeaker because he is hiding behind stay granted by the apex court if i m not wrong ,his candidacy to the parliament is in question still .